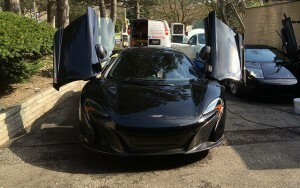 Pickering Car Detailing- Wash Me Now. Pickering is home to over 80,000 people and, although not the most densely populated in the Greater Toronto Area, there are thousands of vehicles that make use of the local roads every day. Whether working locally or in another nearby city or town, Pickering drivers undoubtedly need their cars to serve them without fail on a daily basis. Our Pickering car detailing service makes it that much easier for vehicle owners to keep their cars in top shape. At Wash Me Now, our team is highly skilled and experienced in performing top quality auto detailing on a wide variety of vehicles. From SUVs and sedans to luxury cars and sports vehicles. We have even detailed electric cars and, no matter the make or model, we always pay close attention to all the details. 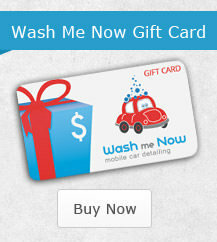 At Wash Me Now, we offer a 100% satisfaction guarantee. Every Pickering car detailing is performed with meticulous perfection in order to achieve the very best result. We look beyond the main cleaning aspects and take detailing to an entirely new level. With over 100 5-star reviews, it’s easy to see why our customers return to us time and time again. Of course, we don’t expect you to take our word for it. Read our online reviews and find out why our customers are so pleased with our work. 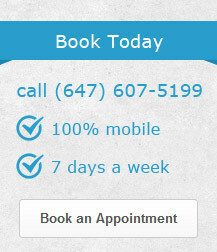 Our Pickering auto detailing services are fully mobile. We understand how busy life can get and cleaning your car might fall down your list of priorities. This is exactly where our mobile team comes in handy. 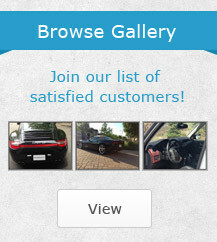 We will come to you and perform professional car detailing anywhere in Pickering! Steam is a powerful method of cleaning with added germ killing power. Cleaning with steam means that no rubbing or scrubbing will be involved, and you can enjoy an immaculate finish. The germ killing action of steam helps keep your car free of nasty bacteria that can make your car its home if left unchecked. Our various detailing packages are designed with various budgets in mind. We understand that everyone has their own financial concerns which is why we offer great flexibility. Why pay more than you have to when detailing your car? Just as we cater for various pockets, so too do we keep different needs in mind. This is another reason for our variety of detailing plans and optional extras. We give vehicle owner the freedom and control to choose a package that suits their needs as well as various fantastic extras such as headlight restoration and ozone generator treatments. Whenever we perform car detailing in Pickering, we ensure that the best results are achieved without the environment paying the price. Steam cleaning ensures the minimal use of water while safe cleaning products ensure that surrounding ecosystems don’t suffer in the process. We are doing our part to keep Pickering beautiful. Since time is such an important issue, we have made it our duty to include an estimated duration for each package. This means that drivers will know just how much time is needed from start to finish. Times vary depending on the package, additional extras, and the size of the vehicle. Take a look at our various detailing packages here and feel free to contact our team for more information.